We’re excited to share that we’ve expanded our partnership with Yachad, one of our nonprofit partners and Community Building Blocks (CBB) grant recipients, by helping them deliver appliances! 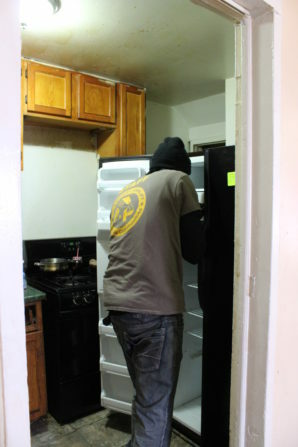 Forklifters Neo and Chris bringing a donated fridge into the home of a Yachad program participant. Yachad is a nonprofit organization that provides home repair services to low income homeowners in Washington, DC and parts of Prince George’s County. The organization’s name comes from the Hebrew word meaning ‘together,’ and refers to its mission of bringing communities together by preserving homes and revitalizing neighborhoods. For 28 years, Yachad has helped families preserve and raise the value of their homes. By working together with homeowners, houses of worship, and other nonprofits, they’re able to preserve and repair housing for long-time homeowners, who are typically providing housing for multiple generations of family members. A Yachad volunteer performing free home repairs. Audrey Lyon, Executive Director of the program, said that “Yachad’s work allows families to stay in their homes, building greater wealth within their homes.” This aspect of their mission resonates with us at the Forklift, because in addition to providing more stability for homeowners, the ability to remain living in a well-kept home has positive environmental ramifications. As anyone who’s had a tour of the Forklift has probably heard, 70% of the environmental harm generated in the life cycle of a building occurs during the initial extraction of materials, meaning that preserving existing homes is always greener than starting from scratch. 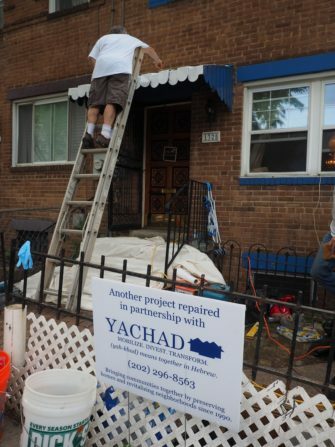 Through their Single Family Home Repair Program, Yachad brings professional contractors and volunteers into homes to perform maintenance and repairs (such as electrical, plumbing, roofing, drywall, painting, etc.). They often provide appliances as well, which is where Community Forklift comes in! 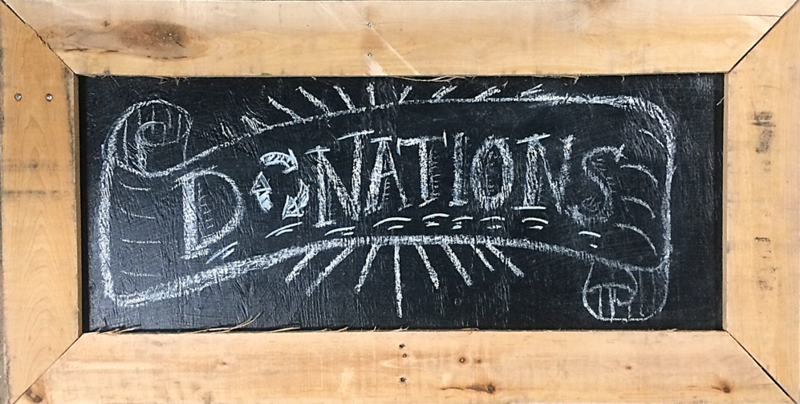 Through our CBB grant program, Yachad has received appliances, building materials, and other household items, which they then distribute to local low-income homeowners. 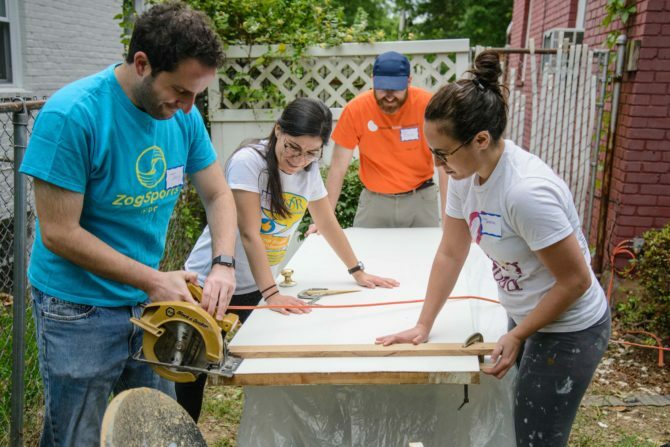 Yachad volunteers donating time and skills to improve the value of member homes. One Saturday in March 2018, the Forklift donated more than materials to support Yachad’s generous work – three of our staffers took one of our box trucks to deliver appliances to the homes of several Yachad recipients. Forklifter Neo installing a donated fridge. One of these homeowners heard about the Single Family Home Repair Program from her job at the Department of Social Services, where she finds resources for seniors and disabled adults in Prince George’s County and likes to check references for the services, or simply try them out herself. 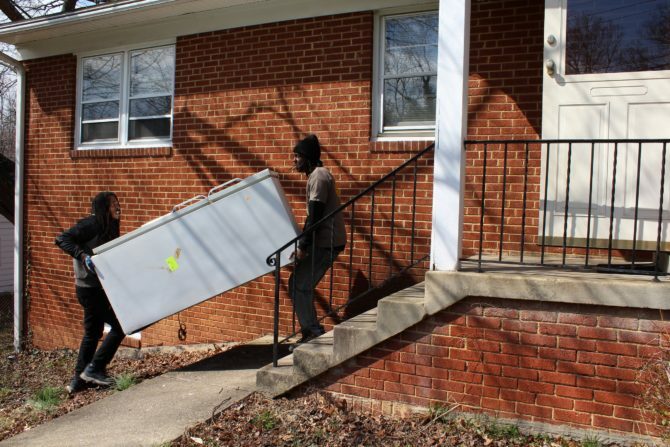 When she found out about Yachad, she knew that she would be eligible due to issues in her own home, so she applied for the program and was able to receive free repairs and a refrigerator delivered to her home in Capitol Heights, Maryland.